At our next concert – Chapel Royal – we will sing Zadok the Priest as the last piece. This was composed by George Frederick Handel (1685-1759), a famous composer who lived over 300 years ago. Handel was born in Germany and moved to England. 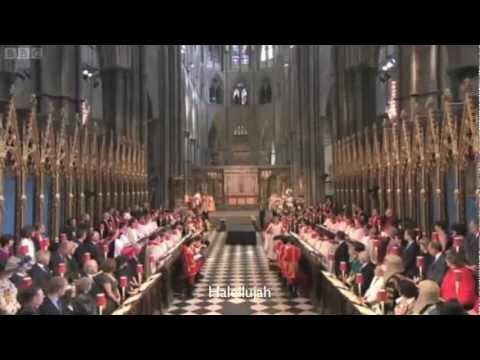 Zadok the Priest is a Coronation Anthem. A coronation is a very special occasion, when a King or a Queen is crowned. Handel composed this grand music for the coronation of King George II of England in 1727. It has been sung at every British coronation since then. In the youtube clip below, you can watch parts of the Coronation of Queen Elizabeth II (1952) and of her father, King George VI (1936) while listening to Zadok the Priest. Click on any of the worksheets below. You can print them out. Zadok the Priest – What can you hear? There is an interval from 3.45 to 4.05pm. If your children don’t like to sit still or to sit quietly for too long, you can bring them to just the second half of the concert, which lasts for about 35 minutes. Zadok the Priest is the last piece. You only need to pay for the grown-ups’ tickets. Booking seats anywhere from pew G back, you can select one or two school-aged children free with your ticket. Book your Middle Park seats here and we will save your seats for you, even if you don’t come to the first half of the concert.